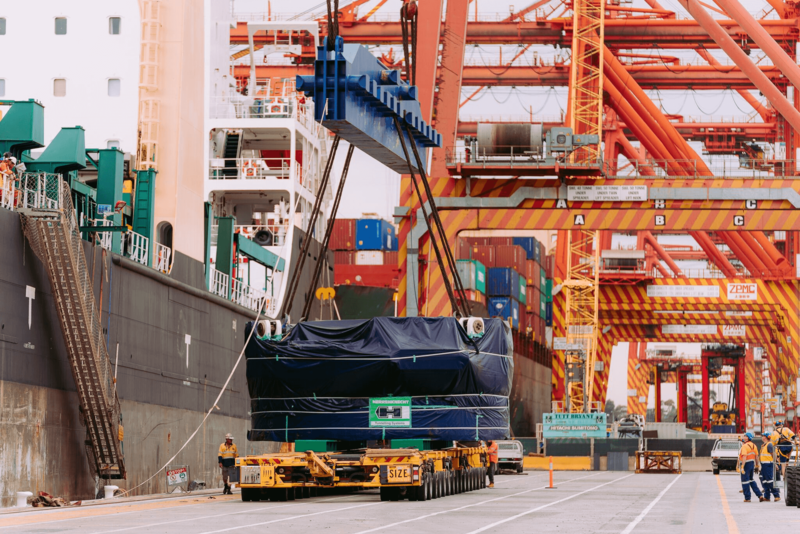 As Australia’s largest container and general cargo port, the Port of Melbourne is proud to help facilitate the arrival of vital equipment for state changing infrastructure projects. On Sunday 13 January, the first of the two massive tunnel boring machines that will build the West Gate Tunnel arrived safely at the Port of Melbourne. When constructed, this TBM will be 90 metres long, 15.6 metres high and weigh 4,000 tonnes – one of the biggest in the Southern Hemisphere. Port of Melbourne worked closely with Patrick Terminals to ensure the equipment was unloaded safely and efficiently.. Once completed, the West Gate Tunnel Project will be Melbourne’s alternative to the West Gate Bridge acting as a vital link for freight into the Port of Melbourne and will remove trucks from local roads. The Port of Melbourne stands ready to work with the Victorian Government and industry to continue to grow the economy and improve the liveability of Victorians.